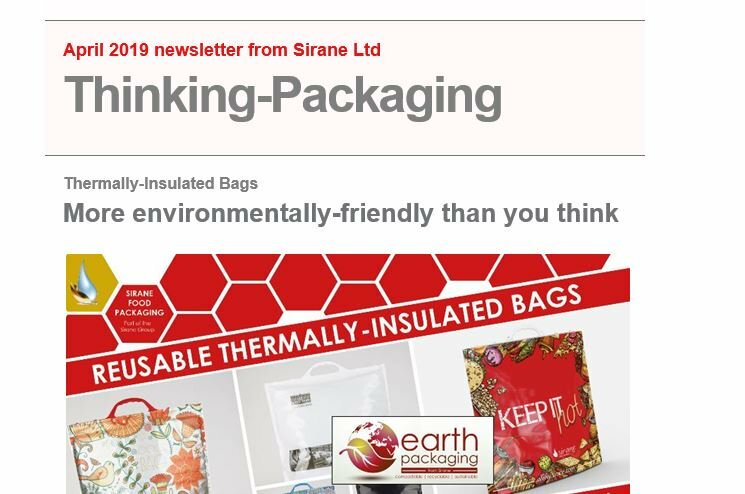 SIRANE’S award-winning plastic-free packaging ‘Earthpouch’ will be a major focus when we exhibit at Packaging Innovations at the NEC later this month. Simon Balderson, Sirane MD, said: “The Earthpouch is a fabulous product, and we were honoured to receive industry recognition and pick-up two top awards. Other products in the Earth Packaging range include paper-based absorbent pads, compostable & breathable packaging films, and compostable boards.